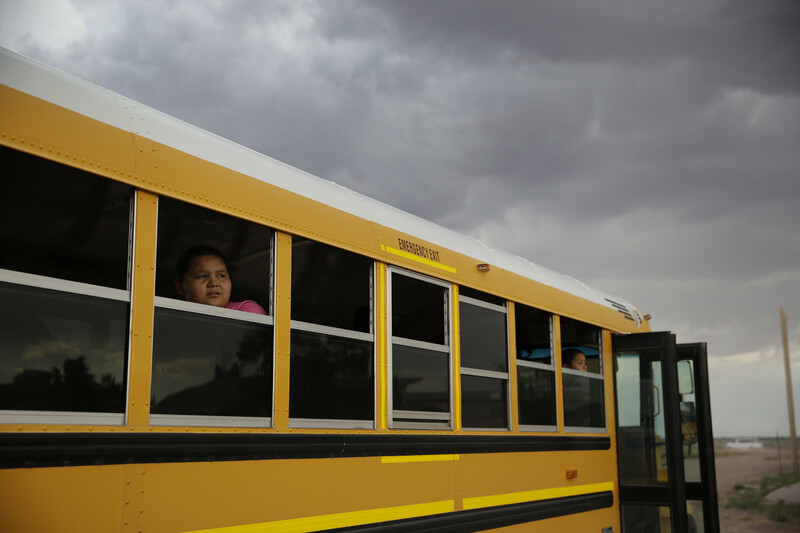 The White House on Wednesday released a report outlining the current state of education for Native American students, bleakly declaring that "Native youth -- and Native education -- are in a state of emergency." The report, titled "2014 Native Youth Report," accompanied an announcement from President Barack Obama that the administration is launching an initiative to increase opportunities for Native American youth, called Generation Indigenous. Ahniwake Rose, executive director for the National Indian Education Association, called the White House's new initiative and report "unprecedented," noting that "this is the first time that a sitting president has talked about Indian education since Kennedy." Still, Rose told The Huffington Post that the president's efforts are just an important first step, and significant progress needs to be made. The White House report offers some reasons for this needed progress, and paints a dim picture of the current status of education for Native American students. According to the White House report, colonial settlers established the first boarding school for Native American students in 1754. The purpose of these boarding schools was to assimilate the students and effectively eliminate their connections to Native American society and culture, the report says. Parents who refused to send their children to these schools ultimately faced repercussions from the federal government. "By removing children from the 'corrupting' influences of their families and everyday reservation life for years at a time, these institutions usurped Indian parenting responsibilities, tore apart tribal kinship networks, and destroyed the fabric of Indian communities," the report says. By the early 1900s, policy towards Native Americans had shifted, with politicians ultimately deciding that tribes should have more sovereignty over their children's educations. But enthusiasm for this policy shift was not unanimous. Even in 1944, the House Select Committee on Indian Affairs said, “The goal of Indian education should be to make the Indian child a better American rather than to equip him simply to be a better Indian," recommending that these children return to boarding schools. 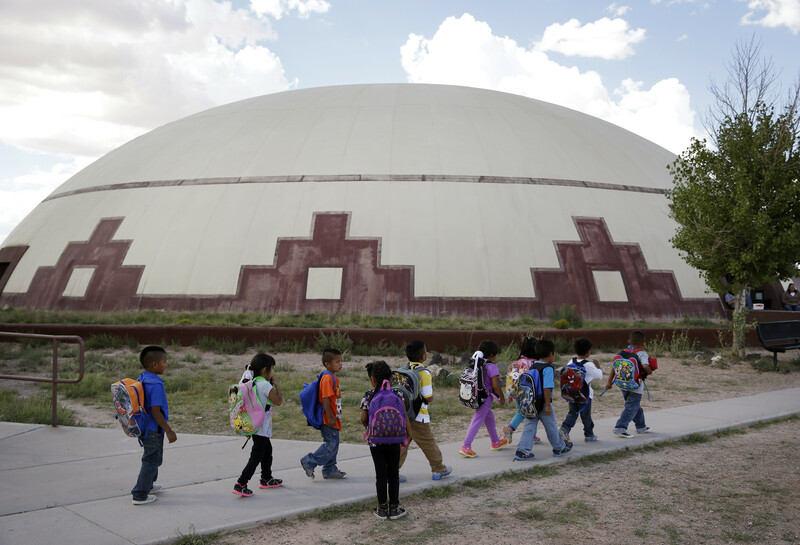 In this Sept. 25, 2014, photo, students walk near Little Singer Community School in Birdsprings, Arizona, on the Navajo Nation. (AP Photo/John Locher). Ninety-two percent of Native American students attend regular public schools, meaning that only a small minority attend schools controlled by the federally funded Bureau of Indian Education (BIE). The BIE operates 183 schools on 63 reservations for about 42,000 students, according to the report. These students generally perform worse academically than their peers, the report says, with fourth-grade students in BIE schools performing on average 22 points worse in reading on the 2013 National Assessment of Educational Progress (NAEP) than other Native American students. Still, in 2011, only 18 percent of all Native American students were deemed proficient or above in reading on NAEP, while 42 percent of white students were proficient or above. The report paints a startling picture of conditions in BIE schools. According to the report, about $967 million is needed to make necessary repairs to BIE schools, and about 30 percent of BIE schools are more than 40 years old. A majority of these schools do not have satisfactory Internet access or enough computers to take assessments aligned with the new Common Core State Standards, the report says. Among one of the root causes for low Native American academic achievement is the lack of "culturally relevant curriculum and culturally competent staff that understand how to reach Native youth," says the report. To rectify this, the report recommends that schools and colleges work to revitalize Native American history and languages in school curriculum. "Experience suggests that incorporating Native languages and culture into academic settings can improve educational engagement and outcomes. Such practices bolster their identity and self-worth of Native youth by respecting the norms and culture of their families and communities," says the report. Indeed, few states have educational standards that teach modern Native American history. According to research from Sarah Shear, an assistant professor of social studies education at Pennsylvania State University in Altoona, nearly 87 percent of state history standards fail to cover Native American history past the year of 1900.